Enhance your LEGO® MINDSTORMS® NXT and LEGO® MINDSTORMS® EV3 robots with over 30 Vernier sensors using the NXT Sensor Adapter. The Vernier NXT Sensor Adapter allows Vernier sensors to work on the LEGO® MINDSTORMS® NXT and EV3 robotics system (sold separately). There are over 30 sensors for measuring everything from temperature, force, light level, UV level, pH, and more. 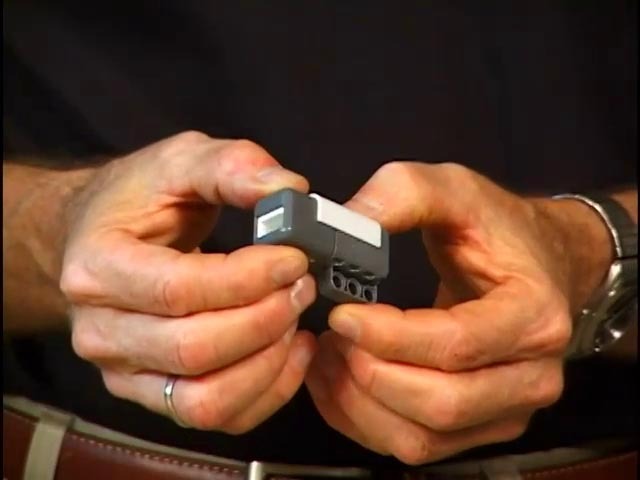 To use the Vernier NXT Sensor Adapter with LEGO® MINDSTORMS® software, you need the Vernier Sensor block. We have developed a sensor block for NXT and EV3 versions. We have created a NI LabVIEW virtual instrument that allows you to program your NXT robot and Vernier NXT Sensor Adapter to use Vernier sensors directly with LabVIEW. This book contains 12 engineering challenges to build and program robots using the LEGO® MINDSTORMS® Education NXT Base Set, LEGO® MINDSTORMS® Education NXT Software version 2, and Vernier sensors. Not compatible with the EV3 system. Note: LEGO® MINDSTORMS® NXT and EV3 robotics systems sold separately.